Originally from Southern California, best-selling author Jill Barnett started her writing career with a bang - her first published novel, The Heart's Haven (1990), became an immediate national bestseller. 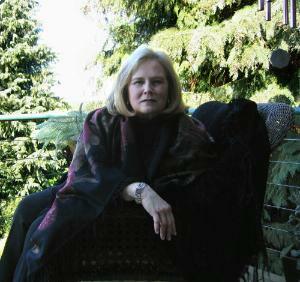 Since then Barnett has written over fifteen books, including several national bestsellers, and her novels have been translated into nineteen languages. Barnett's most recent work The Days of Summer (2007) follows two families over three generations after their lives become entwined in a car crash. The setting of the story ranges from Southern California to the Puget Sound. Fellow author Kristin Hannah comments: "An intense and compelling exploration of the darkest places in the human heart, Jill Barnett's The Days of Summer is a powerful novel about destiny, choices, family ties, and the way they're all connected in our lives. Fast paced and provocative, it's a story you won't be able to put down...one you'll want to talk about long after you've finished the last pages." For more information on Jill Barnett and a complete list of her books go to http://www.jillbarnett.com/ or http://en.wikipedia.org/wiki/Jill_Barnett.